While growing up, Jerry dreamed of being a professional football player, but his father continued to ingrain the importance of making it in music where you could get your “money for nothing and your chicks for free” – yeah right! He would eventually learn that Dire Straits, like his father, were lying. After high school, he left the “island of Waianae” and moved to Portland, Oregon and attended Concordia College, during the time of the hairband craze. It was at Concordia where he ended up meeting singer and lyricist Jack Viohl who recruited him to play lead guitar in a band called Madhatter. The band started getting recognition and was eventually nominated for a Crystal Award, Portland’s version of the Grammy, where they put up a good challenge to “The Cherry Poppin’ Daddy’s” of Zoot Suit Riot fame, for best new artist. When the music industry shifted from “pretty boy rock” to grunge, Jerry decided to cut his mullet and move back to Hawaii. 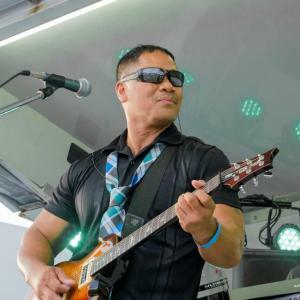 Back in Hawaii, he worked on a few music collaborations including the song “You Need Somebody,” which was recorded by local recording artist Robi Kahakalau and later the United States Air Force Band. 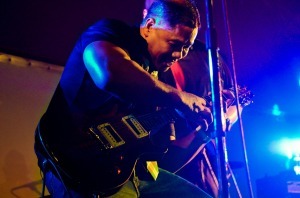 Later he teamed up with GSP drummer Ariki Foster to record an album that continues to be played on local radio today. 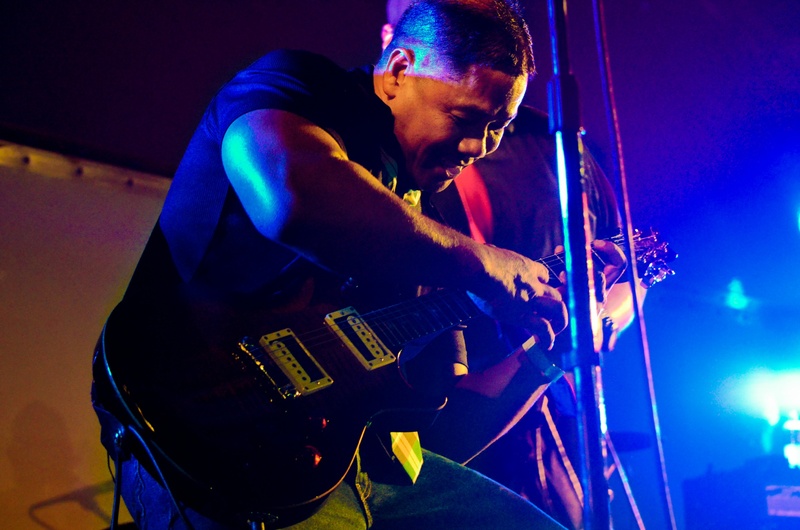 Alongside being the lead guitarist for Greenstone Project, Jerry works as a counselor at the Kauai Community Correctional Center, and lives a happy life with his wife and two adorable daughters. The driving force in Greenstone Project. When the band needs to get thing’s done, he is “The Boss”. He is also credited with helping change the course of the band to where it is today. A classically trained guitarist, and a die-hard Eddie Van Halen fan, he brings 30 plus years of experience in music entertainment to Greenstone Project.